I am looking for a car that is reliable and not expensive to repair. I want a car with a lot of interior room so I could sleep comforbly in my car. I had a 1993 base model Dodge Caravan that I loved. I do not want a lot of electical features. I am looking for a car that is more mechanical. I do not want a sun roof or keyless car. I would love a manual transmission but I know they are difficult to find. Any opinions about the Honda Odyssey vs the Dodge Caravan? Any other minivans out there that are reliable and not too expensive to repair. 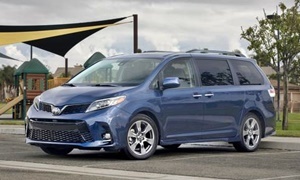 I am thinking about a minivan where all the seats either fold down or are removeable but I am worried because most of the minivans have transmission problems. I have heard subarus liket the Outback are very expensive to repair. I have read that all wheel drives can be expensive because all the tires must be replaced at once so if you ruin one tire you have to buy a whole set. I want a used car that has been well maintained. Any opinions on the Honda CRV? I am feeling very confused and overwhelmed so any help is appreciated! I am older but still very fit and active and adventurous! I like the idea of having a car that has plenty of room for a dog to be comfortable. My Dodge caravan was great for my 2 dogs. I had removed the rear seat and ultimately the second row of seats also. I own a 2002 Honda Odyssey and it's a great car, but the transmissions are notorious for failing. I had the transmission replaced at 24,000 miles as part of recall and I know others' odysseys that have failing transmissions too. Otherwise, the car has been mostly problem free except for a steering rack replacement, startor, and alternator. And many timing belts. 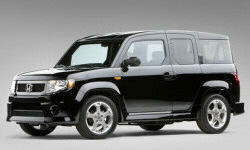 I'd recommend the 2003 Honda Element. The higher price of the Element will make up for repair bills of most other cars you'll look at. The Element literally sounds like the perfect car for you. It's made for the active person in mind with a clamshell tailgate and wide opening side cargo doors. The car is almost as simple as it gets. It's offered in a manual in 4WD and 2WD versions. This car is made for sleeping in. The seats fold down open and flat. They were offered with a removable skylight when they were new. The carpet and seat fabric are stain resistant and can be cleaned by wiping them. I almost bought one of these in 2005, but bought a Prius instead because of HOV lane stickers and fuel economy. I definitely think this is the car for you. I second the Honda Element. The seats also fold up against the side wall so you can sleep on the perfectly flat floor - a unique feature among SUV's. 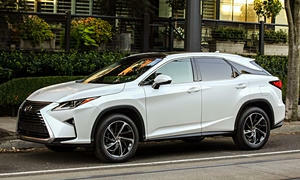 It is built on a Civic/CRV chassis so you get economy and reliability. I miss our Element. Ford makes a small version of the Transit Connect which would also be a great option, except they have only been out for a few years and probably are not in your price range. I too have a friend who has a Honda Element, and he loves it. A real outdoors guy who does in fact, sleep in his car on occasion. He likes the "flush out" interior that allows him to get rid of the mountain bike dirt etc. You might also consider a Prius wagon. They are quite roomy as well. Reliability, of course, is excellent. One of the cars I own is a Lexus RX and it has an interior cargo space of 87 cubic feet with the seats folded down. I recently a full-size, tall water heater in with room to spare. Those are AWD and are extremely reliable. 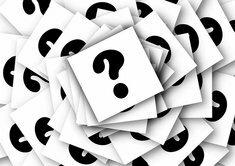 The last suggestion that is rarely considered might be the Mazda MPV (van/suv) which has 4wd. 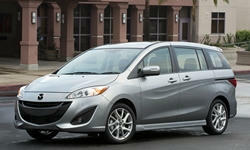 The next iteration was the Mazda 5 minivan that seats 6 but doesn't really act or look like a minivan. It has a lot of interior space for its road footprint. One other that has a surprising amount or room with its "fold flat" rear seats is the Honda Fit. I owned one recently (the latest) and came away very impressed with its fuel economy and front wheel drive traction. I did find the road noise intrusive. Its cargo space was cavernous. I'd also recommend the Prius V, but you said you wanted a car without much technology, so that's why I left it out. My 250,000 mile Prius is still going strong on its first hybrid battery. Electrical problems are inevitable in older Prii. 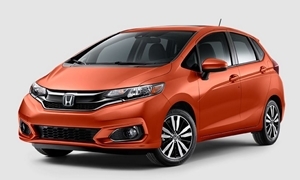 The Honda Fit might not have enough room length wise, although the inside is enormous. If you're talking about sleeping ONE person, the Fit actually works great; I slept two weeks in mine at a campground over the summer - you have to flatten out the 2nd row seats, move the passengers seat all the way forward and put the back of the front seat flat. Then two couch cushions directly behind the passengers seat back makes for a 7' long sleeping space. And you can stash your stuff behind the drivers seat. I'm a fan of the Element too, but they're kind of an in-demand vehicle, so you'll only be able to afford a super high milage one for $5k. I agree with you that you might as well stay from the AWD vehicles since you don't particularly need that and the feature just adds repair cost and lowers MPG. My thought is that if you need more space than the Fit, the Mazda 5 is the next logical step-up-in-size option (it's available in MT) and if you need something larger than that, you might as well bite the bullet and get a slushbox minivan (an old Toyota Sienna preferably). Some great suggestions here. The tough part will be finding a good car without ultra-high miles for under $5k. The Honda CR-V tends to be very reliable, but once they're under $5k it's because they have so many years and/or miles that some repairs are likely. Probably a similar situation with the Element. The Fit is a less expensive car, so it should be easier to find a good one for $5k. Common problems with the Mazda5 include suspension parts (not terribly expensive, especially if you can do the work yourself) and rust. I'd only consider one if you live where road salt is not used.